" And there appeared to him an angel from heaven, strengthening him. And being in an agony, he prayed the longer." The event that began sorrowful Passion of Jesus was the Agony in the Garden. Jesus wept with grief. The unimaginable mental suffering Jesus experienced was immense. 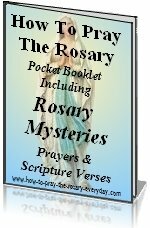 The exact Biblical account below accompanies the scriptural Rosary and will greatly enhance your meditations on the Rosary and the life of Jesus. On Account Of Your Sins. worketh penance, steadfast unto salvation..."
This sad event should incite in you a deep sorrow for your sins because it was those sins and the sins of each person ever created that caused Jesus' agony. Confronting your sins and being sorry for them is the only route to having true peace of mind. Sorrow for sin is also known as contrition. Contrition is the emotion of hating your sins and feeling true grief for offending God so much so that you never want to commit that sin again. The Act of Contrition is a prayer that you should memorize. It will help you grasp a firmer idea of what contrition is. 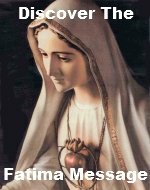 There are prayer cards available with this prayer on it and many other beautiful Catholic prayers. The Bible passages used for Jesus Wept Scriptural Sorrowful Rosary Mystery were taken from the timeless Douay-Rheims Catholic Bible. If you are looking for a more modern language version of Jesus Wept, our recommendation would be the St. Ignatius Press Bible.